Major work is being done with facility and technology improvements at Norrlandsoperan. 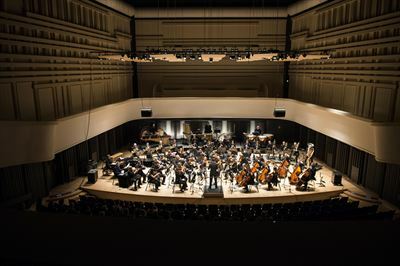 ÅF’s acousticians were chosen to work with the acoustics in the concert hall and the opera hall’s orchestra pit. The general contractor and client is PEAB Umeå. ÅF will develop solutions that improve the symphony orchestra’s collaboration and the audience’s experience. The concert hall will include a redesign of the room’s surfaces and new acoustic reflectors. These measures will ensure that the musicians can hear what they’re playing and new equipment with adjustable wall surfaces around the stage will help fine-tune the hall’s sound level and reverberation. ÅF’s goal is to give the musicians more control over their musical expression as well as generally improving their work environment. Since 1974 Norrlandsoperan in Umeå has grown from a regional opera company into a performing arts institution with a broad range of activities. Two to four opera productions are produced annually at the opera and it also collaborates with other major opera houses in Sweden and internationally. Do you want to know more? Contact Johan de Sousa Mestre.